Like many of you, I try using as many natural ingredients as I can in my household. I buy high quality flour without bleaches or corn, and do my best to avoid any ingredients that I know include harmful synthetic chemicals. Not only is it healthier for my family, but it tastes better too – and while it may require a bit more work, it's worth it. One type of ingredient that has always given me a lot of trouble however, is food coloring. While I didn't think anything of using these colorings before, I recently became very concerned about them. Some research has been showing that artificial coloring can lead to learning delays or developmental disorders. It also seems to be showing a harmful effect on children with ADHD and autism. After hearing how much some of my friends' health have improved after eliminating these dyes from their diet, I see no reason not to look for healthier, natural alternatives, just in case the research continues to show this. In the past, I tried making my own natural colorants a handful of times using berries and other ingredients that have strong natural colors. While it worked sometimes, other times it was just a giant mess. Wanting to know more, I started looking to see if anyone sold any form of natural colorants. Through my search, I discovered Nature's Flavors, and their new food colorant line, Natural Colors. Wanting to know more, I reached out to the company, who was nice enough to let me review their Nature's Flavors Rainbow Pack of Natural Colors for free! For centuries, people all over the world made derived any color for their food from all natural ingredients, including fruits, vegetables, and different food safe plants. Over time, people went to synthetic chemicals because they were cheaper to make and lowered the price of products. Unfortunately, it seems that these chemicals may not have been as safe as people thought, leading to people looking for all natural colorants again, such as Nature's Flavors own Natural Colors. As for Nature's Flavors Rainbow Pack of Natural Colors , it is 100% natural, kosher certified, vegan, gluten free, and free of the harmful chemicals that make artificial colorants so dangerous! To make clean up easy, all of these liquid colorants are also water soluble, giving you the comfort of knowing you aren't ruining clothes if an accident does occur, or staining your favorite dishes. Currently, the Rainbow Pack of Colors contain 5 popular colors – Cherry Red, Natural Blue, natural Honeydew Green, Natural Yellow, and Natural Pumpkin! These colorants are perfect for coloring beverages, cold foods, or even your favorite baked recipes. While all of us may like the idea of using natural colorants, we also don't want to deal with a huge mess or have our favorite recipe ruined. I was bit nervous trying this colorant since the bottle said it could give undesired results when baked due to heat. Like any good baker, I wanted to immediately test on a cake and icing! 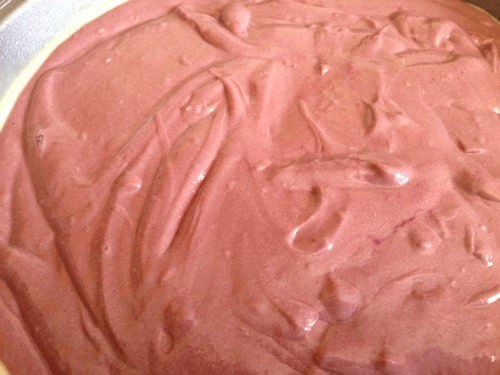 I decided for my review to use the red coloring, as you can see in the batter below. Since I was experimenting, I didn't want to use as much coloring as my original recipe stated. As you can see, the batter turned out to be a pretty, almost purple red when mixed with the brown coco. Baked, it kept about the same color, telling me that that Nature's Flavors Natural Colors have the same ratio as their synthetic counterparts. Still having a pretty red cake, I was happy! Now, the part that was really impressive was how the Nature's Flavors Cherry Red Natural Colors interacted with my cream cheese icing. Wanting a bit more of a pink, I only put a small amount of coloring in the pan. 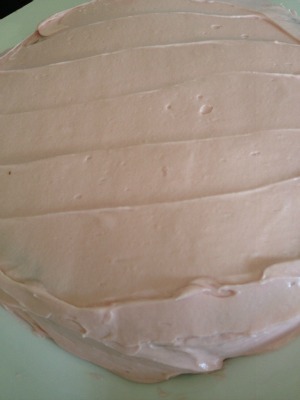 I was left with a beautiful, light pink icing that was stunning! Really, playing with shades and different colors is much easier with Nature's Flavors, leading me to believe it's a great choice for anyone who loves to bake or decorate cakes! After baking and working with this food colorant, I have to say that I like it! While it does take some experimenting to get the color just right, it gives a natural, vibrant color to dishes. I did have it interact with other colors while baking, but this can happen with just anything when you start mixing colors (similar to playing with a color wheel). For anyone who loves to bake and do food art, this stuff really is amazing and a great alternative to synthetic food dyes. For this reason, I happily give the Nature's Flavors Rainbow Pack of Natural Colors an A+ rating. Want to know where you can purchase Nature's Flavors Rainbow Pack of Natural Colors? You can currently purchase this all natural set on Nature's Flavors for $49.95. This five piece set includes Cherry Red, Natural Blue, natural Honeydew Green, Natural Yellow, and Natural Pumpkin. Each of these bottles contain 2 oz of colorant and is very concentrated, making this set a great bargain for anyone who loves to bake! Disclosure: Budget Earth did not receive compensation for this review but did receive free products for review purposes via Tomoson.com. All opinions on this product are my own and may differ from our readers' opinions. Would you like to have your products featured in a similar giveaway event? Want to increase your social media exposure before the holiday season? See how we can help! Contact budgetearth@gmail.com to see what Mom Powered Media can do for your company! this ia a wonderful giveaway.. I would love to have this set of natural flavoring to use in my kitchen 🙂 fingers crossed!! hoping to win!! Thank you..
Would love to try these. Like the fact that they are natural. I am a mother of two and teach and have seen some of the treats my students have brought to school. The colors are so unnatural to me they are unappealing. I can only imagine what they are consuming. I love the idea of an all natural way to color foods. Thank you!! I never realized there were `non-toxic`options for food coloring, so I gave up on coloring years ago. Now I can goback to being creative – thanks for letting us know about Natures Flavors! I love the colors and I would use them often. I'm glad someone thought to produce safe colors for baking and frosting. Good for you! I initially skipped over this contest thinking it was for food color. Now I see it's a flavoring also. That's different! Lisa, it’s just natural food colors. The food labeling is just to say what the color looks like naturally. I love that they are natural! So excited for this giveaway! If I dont win I'm hopping I can buy these! Cant wait to try these! Im so glad I found this product. I think I will make sugar cookies so I can make colorful frosting! 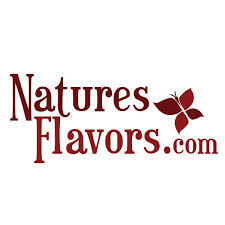 Thanks for the wonderful review on Nature's Flavors all natural food colors. I love using food colors but don't because of the harmful affects they may cause. I am happy to know where I am able to purchase a healthy was to use them now. Although there are some benefits with this product that don't really concern me (for example: gluten free), I like these ideas. These are fun, natural flavours that kids and adults alike will enjoy using. I think the more tools we have in our kitchen toolbox, the better! i was just talking to my husband a few months ago about the need to remove the unnatural coloring from our diets. My son is 3 and has SPD and we just had him tested for autism due to his lack of speech. He will hardly eat anything and so the quality of the food he DOES eat is very importaint to me. Its why I was so excited to find this! Natural food coloring is a wonderful idea that I have long wished for! If they have managed to create good strong colors from natural ingredients, that is a great accomplishment, as that was always the problem I ran into when trying to do it myself. I love this. My little one can't have treats with certain brands of food coloring in them because the may contain traces of peanuts. I'd love to try these! I know all about that! I’m allergic to peanuts myself! These are neat I my self can't have red dye #5 and it is in alot of items, things you would not even think of have food coloring in them, I would love to try these gluten free food colorings and begin to put some color into my life… LOL., thank you for reviewing these. I might have to try these. Of course my kids love bright colored food, but I have been concerned about food dyes. This seems like a great alternative. I love the different colors, I'm sure you could make all kinds of fancy cakes. I love that these are all natural. Synthetic colorings leaves me wary with all the talk about many bwing carcinogeic. I'd love to try Natures Flavors Natural Food Colors. Thanks! The colors are BEAUTIFUL!! I would love to try these and get away from the synthetic colors that you get at the store…they are becoming so controversial when it comes to being harmful or not. Love that they are all natural. I have never heard of these! and the color turned out nice too! I'd be excited to try them, especially the red. I have the hardest time getting a true red when coloring icing, etc. I'm sure they're all beautiful. Thank you for the review! I love that these are packaged in reusable, recyclable glass instead of icky plastic. This is great! I have been leaving out the colors in some of the things I have made, like icing for cookies or cupcakes (BORING!) because I didn't want to use those non-natural food colorings. The colors are definitely vibrant! It is so easy to miss the "little" ways that un natural ingredients sneak into our food isn't it? Double Bonus that the packaging is glass, which I really prefer over plastic. I know plastic is recyclable too, but I just think, as a general rule, food and drink taste better out of glass! I 100% agree! One of the things I really miss from living in Chicago is bottled milk. Its so hard to find but it just tastes so amazing in glass. I also like that glass is much easier to store! I had no idea that they made an all natural gluten free food coloring. That is wonderful. I always wondered how bad the food coloring was for us. I know! Isn’t this amazing! Its going back to the old fashion roots of how people used to do food colors. Some of the colors in our foods are really frightening (and have no reason to be there). I have kids that get sent home from school for behavior, and I'm a very good mother. I am not sure what the causes are or aren't, but I really want these to replace my regular ones because I'm a wanna be pastry chef and make frostings and such. I want to be as natural as possible when it comes to our baking. I'd love to try this natural product for baking. I really do not like the synthetic food coloring I have but have been unable to find a natural product where I live. Would have been nice to have something like this when my children were little! These are such a wonderful product. I was not even aware there was a natural food coloring that could be preserved for use like the processed junk we are used to buying. Thanks for letting us know about this alternative. That is so cool! I've heard that natural food dyes are expensive, but after reading your review, it seems worth it! I like that the natural food dyes do not have anything artificial in them, so they're safe. I made a Cinderella Cake with turrets from sugar ice cream cones using a blue dye for frosting that wasn't natural and we all ended up with blue lips and tongues. I'd love to have these for my next cake decorating class. And the pink you made was quite pretty. This is an interesting idea but would be fun to experiment with. We love it when food has that vibrant, fresh color, but we don't want a lot of chemicals added. This would be a great way to really add to the presentation. I totally agree! I love adding color, especially to deserts! Great product review this would be an awesome win 🙂 would love to use this product to decorate a fondant cake or tye dye a cupcake ,endless possibilities. I've tried "natural" colors before and the result was almost always muddy and ugly. So I'm excited that these seem to match the results I would get with synthetic colors. I am vegetarian and love natural foods. I have never tried these colors, but think they are a wonderful idea! I love to bake and would love to use these. I think the colors are beautiful and I like the fact that it is a natural product. Thank You. These liquid colorants look very nice. Thanks for the interesting and informative review! This looks quite good, and I do agreee the colors in your icing are very natural looking, but 49.95 is a whole lot of money for food colouring. It's too much for my budget. Yes, they are a bit on the pricey side, at least that is what I thought at first glance. Last time I went to buy food colors at Meijer it was $5 for a 1 oz bottle. Since these bottles are 2 oz, it makes them $10 a bottle. When I did the math, unless you grab the synthetic ones on sale, it makes them roughly equivalent. You are just getting more coloring with these bottles in one go. I like the all natural flavors and food coloring, going to have to get them soon. Wow, great to know that there are natural options for food coloring. New research on food coloring is making me nervous as well…. I absolutely enjoyed this review. My son has ongoing issue's which I'm positive has a lot to do with food dye's. I watch the food network a lot to keep up on new and recent thing's with our food production companies. The natural flavors for the dyes above are quite amazing and I will be looking into purchasing this product as a result of this great review, thanks! I’m so glad you enjoy the review! It really is amazing how much the food dyes effect children. I have seen so many children with learning disabilities benefit from removing synthetic dyes in their diets. I bake all the time and my kids love cupcakes with colorful frosting but I dont put nothing anymore because is bad, but with this natural colors they would be happy. You had me at natural; you lost me at $49.95. The good thing is with our change in lifestyle & eating habits, I am not making anything that has to have food coloring. Getting chemicla free sure can be expensive. But when it comes to a healthy family we have to find ways to do it. So thank you bloggers for your giveaways. Yeah, the giveaways really are a way of helping cut costs. I know the price may seem scary but also realize two the bottles are twice the size of what you buy in stores. I know when I did the math for it these actually came out to be the same price as the food colors in stores. Sooo tempted to buy these to ice cupcakes for my going away party! Thanks for posting this review.